Specialists and military equipment of the Russian Armed Forces' International Mine Action Center prepared to be sent to the Syrian city of Palmyra from the Hmeimim airbase, April 2016. Russian Defense Minister Sergei Shoigu has said that contracts with some defense industry enterprises may be terminated over their failed obligations. He has also spoken of defects in military hardware that have been revealed during the Syria operation. However, one observer points out that the figures announced by the minister are not a bad result given the sanctions in place against Russia. So far, the state order for the supply of hardware and weapons has been completed by 62 percent, while the state defense order for maintenance has been completed by just 50 percent, said Shoigu. "In the course of using military hardware in the Syrian Arab Republic, a number of structural and production defects have been identified," said Shoigu on Oct. 21 at the single military products acceptance day, an annual event at which the Ministry of Defense assesses the effectiveness of arms deliveries by state suppliers. 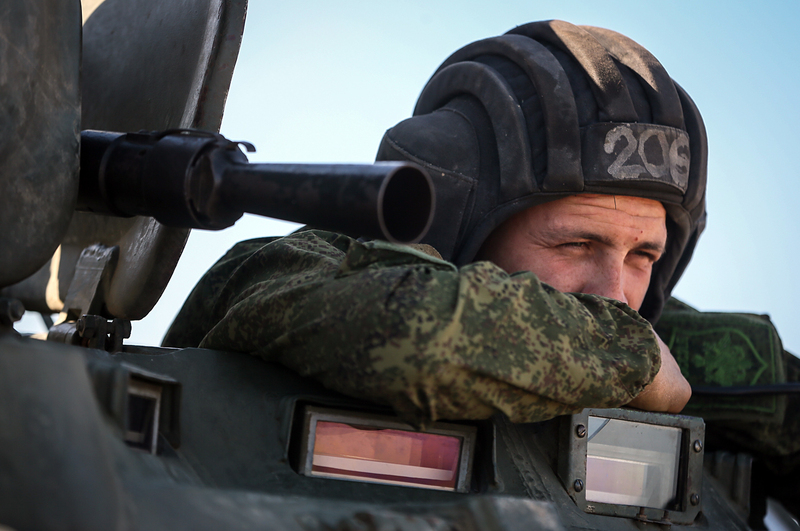 What problems has the Syrian operation revealed in the Russian army? Russian Deputy Defense Minister Yury Borisov said that the serviceability of Russian aircraft operating from the Khmeimim airbase in Syria had been assessed at 80–90 percent. "Manufacturers arrived at the Kmeimim airbase at our first call. We are grateful to our colleagues and have nominated many of them for state awards," said Borisov. Commenting on the president's statement about the shortcomings of Russian military hardware, Andrei Shibitov, deputy general director for production and innovations at the Helicopters of Russia holding company, told journalists that the complaints concerned, among other things, domestically-manufactured helicopters. "The combat use of the aircraft was quite singular. In the course of carrying out new-generation tasks, certain shortcomings have been revealed in our helicopters that need to be eliminated. It goes without saying that despite an overall successful operation, we realize what we still need to do more work to make our aircraft more effective. We have already drawn up a program identifying further areas of focus that would make our helicopters more effective," Shibitov told the TASS news agency. On Apr. 12, 2016, a Russian Mi-28N helicopter crashed near the Syrian city of Homs. The captain and the navigator were killed. According to the Defense Ministry, the crash was not caused by enemy fire and, preliminary findings indicate, resulted from human error. "Usually, military action makes it possible to reveal defects in military hardware and weapons that it is impossible to detect in peaceful time during bench tests or on simulators or at a testing range. They reveal themselves only during military action," a defense industry source told Gazeta.ru. The newest types of Russian weaponry shown in action in Syria included the sea-launched Kalibr-NK cruise missiles and X-101 cruise missiles fired by Tupolev Tu-160 strategic bombers. After the launches, CNN, citing two anonymous sources at the Pentagon, reported that several cruise missiles launched on Oct. 7 from Russian warships in the Caspian against targets in Syria had failed to reach their targets and fallen on Iranian territory. According to the TV channel, at least four out of the 26 missiles launched fell in Iran, however, there were no reports of casualties or damage on the ground. The Russian Defense Ministry denied those reports in a statement on its official Facebook page. According to Shoigu, the state dense order for the supply of hardware and weapons has been completed by 62 percent, while the state defense order for maintenance has been completed by nearly 50 percent. "It testifies to the satisfactory work of defense industry enterprises and to the effectiveness of measures being undertaken by the Defense Ministry,” he said. Konstantin Makiyenko, deputy head of the Center for Strategy and Technology Analysis, told Gazeta.ru that the bulk of armaments and military hardware are supplied to Russia’s armed forces closer to the New Year.